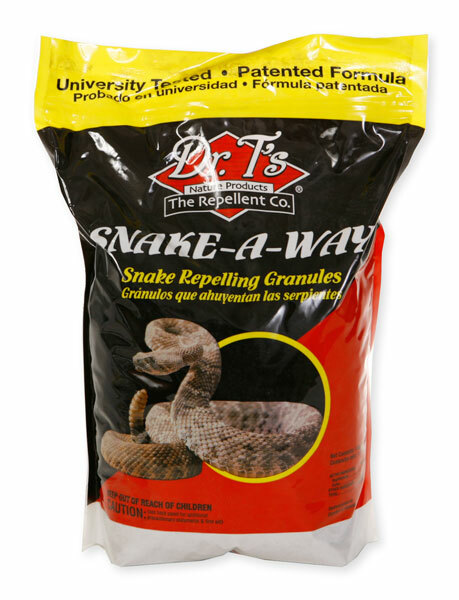 Snake Away is made from Napthalene, the same ingredient found in Moth Crystals or Moth Balls. It is usually highly aromatic, disruptive to the senses, and acts as a repellent. I would not recommend to place it in areas where dogs can directly access it. I would not put it inside an area where dogs roam, such as a fenced in run, back yard, etc. I would place it around the "fence" or the area to keep the snakes out. We have never had a report of Dogs or any pet being effected by Snake Away in almost 20 years of selling it.